We are very excited to attend this year’s Magento Live Europe in Barcelona between 8th and 10th October 2018. We’ll be sending three members of our team to the biggest Magento Live event to make sure we cover all grounds and help you achieve your business goals with your Magento 2 platform. Paul Doherty, our Sales & Marketing Director will attend the business, commerce and B2B breakout sessions to learn how the latest Magento developments can help your business. Daniel Woolfson, our Head of Development & Test, will look out for the latest news in technical development to share with his team to bring your solution to life most efficiently. Lastly, Kora Habinakova, our Marketing Manager, will learn about the growth strategies and winning solutions to bring you fresh ideas to apply to your marketing strategy. We look forward to finding out what the roadmap for Magento’s future plans looks like from Shantanu Narayen, the CEO of Adobe, after the recent acquisition of the ecommerce platform. 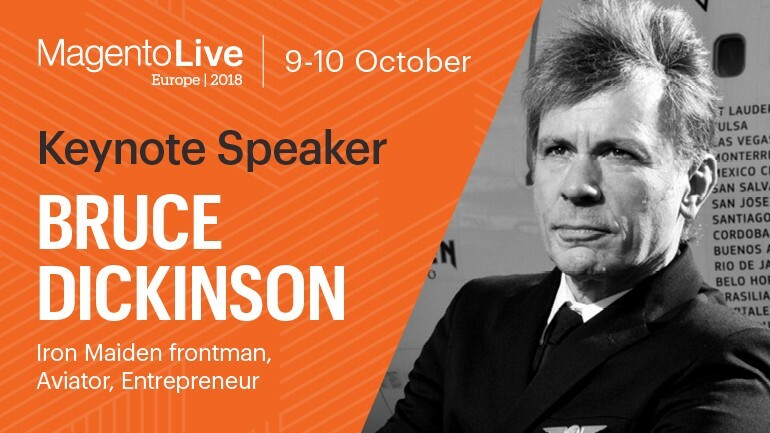 The list of speakers at Magento Live Europe also includes Bruce Dickinson, Iron Maiden frontman, Aviator & Enterpreneur; Mark Lavelle, SVP for Commerce & Digital Business at Magento, an Adobe Company; Michelle Beeson from Forrester and many more, all of whom will bring their insights and examples on how to optimise Magento to work for you. Join us for live Twitter stream at @MagiumCommerce. If you have any questions throughout MLEU, feel free to DM us and we’ll ask the relevant contacts while we’re there. We’ll be writing up our findings shortly after the conference and sharing the latest info with you via our newsletter and social media. If you’re attending too, please come say hello!